YOUNG ballet fans are in for an early Christmas treat this year. Northern Ballet will visiting Woking’s New Victoria Theatre next month to present their take on festive season favourite The Nutcracker. designed especially to appeal to children. Following on from the success of The Ugly Duckling and Three Little Pigs, the Elves & The Shoemaker has been designed to introduce young dance enthusiasts to the magic of live ballet, music and theatre. “Our work for children is a unique way for us to engage very young audiences, as well as providing a creative platform for young choreographic talent,” explains Artistic Director David Nixon. “We approach the ballet with the audience in mind, keeping the productions short and imaginative, with a sense of something magical, to ensure that children have a fantastic experience. Choreographed by ballet master Daniel de Andrade, Elves & The Shoemaker is the latest in Northern Ballet’s award-winning series of Short Ballets for Small People, which are made specifically for children aged from four upwards. The short ballets have been seen live by more than 30,000 people on stage and also by over 1.4 million people on TV, which has included adaptations for the BBC network’s dedicated children’s channel CBeebies. The dance company have received a Children’s BAFTA for Ugly Duckling, while their version of Three Little Pigs has also been recognised with a Children’s BAFTA nomination. Their latest show is a Northern Ballet re-imagining of the famous Brothers Grimm tale about a poor and hard-working shoemaker who receives some much-needed help from two elves. Lasting approximately – and most importantly – a child-friendly 40 minutes, the short and sweet production is set to an original score composed by Philip Feeney with set designs by Ali Allen. Northern Ballet’s special performances of the Elves & The Shoemaker will take place at the New Victoria Theatre, from 12pm and 2pm on Friday, November 6. 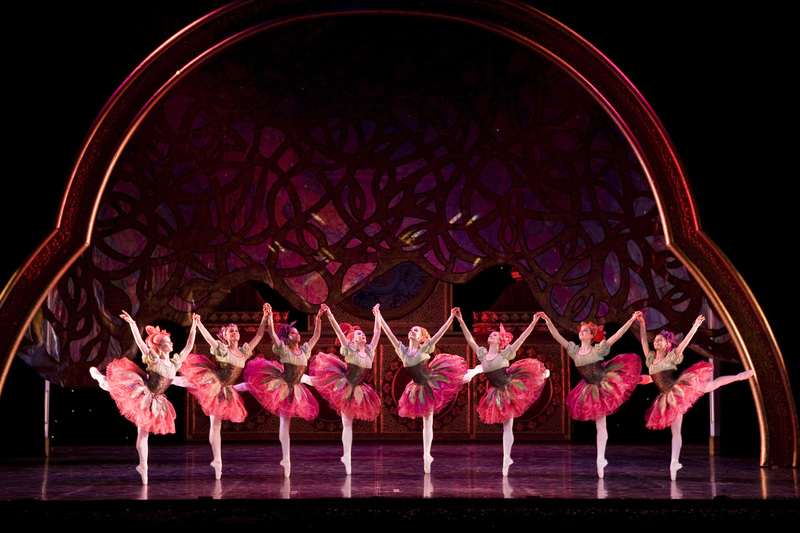 Meanwhile, The Nutcracker will run from Wednesday, November 4 until Saturday, November 7. Visit www.atgtickets.com for all further details on the shows.